Gibbons onstage in 2012. Gibbons: Rick Gould. “BFG ain’t anybody ’cept BFG,” proclaims ZZ Top co-founder/front man/face Billy Gibbons, discussing his first solo album, Perfectamundo. “What is heard is heard, just like that.” Such idiosyncratic turns of phrase flow readily from Gibbons while discussing the effort, which came about following an invitation to perform at the Havana Jazz Festival. The idea sent Gibbons on a musical bender, and before anyone could shake a maraca, he was in his studio, dreaming up ways to mix Texas-sized scoops of Cubano percussion with floor-shaking beats and (to the delight of all) an abundance of tones rendered in familiar style via six strings and a finely dialed amplifier. Backed by a hand-picked band dubbed The BFG’s (Martin Guigui on piano and B3, Mike Flanigin on B3, vocalist/bassist Alex Garza, drummer Greg Morrow, Gary Moon on supplemental guitar), Perfectamundo is suitable for everything from a party on the patio to chillin’ with one’s blues buds or shaking a dance floor a la Pitbull. Its 10 tracks include modern interpretations of blues tunes by Slim Harpo, Roy Head, and Big Joe Williams intertwined with rock (on the title track), a dash of organ-trio simplicity, and doses of hip-hop (for a complete analysis of the album, see Dan Forte’s review in this month’s “Hit List”). Beyond guitar, Gibbons handles a melange of instruments, including a turn on timbales that harkens to the influence of his father, Freddie, a concert pianist and orchestra conductor who worked with mambo percussionist/Latin-jazz legend Tito Puente. Puente’s input furthered Gibbons’ understanding of how to create syncopations and polyrhythms from basic time signatures, and the skill stuck as Gibbons soon after began to play a Gibson Melody Maker gifted to him by his dad. When he recently dove back in, he reports the feel “came back like riding on a lost bicycle. Given his many cultural influences – musical, visual, gastronomical, wearable, (internal) combustible, and otherwise – it’s certainly no surprise that for his first solo album, Gibbons’ freak flag is fully unfurled. How did you select Joe Hardy to co-produce, and what did he bring? Joe brought a skilled, hands-on expressiveness that creates “the sound of the sound,” so to speak. Prior to steering our sessions in Houston, Ardent Studios, in Memphis, stood as the stomping ground, which allowed Joe’s adventurous sonic escapades to reach high refinement, balanced between an excellence of speed and solid soulfulness. A pro player, arranger, and specialist in studio engineering, mixing, and mastering. For Perfectamundo, Joe saddled G.L. “G-Mane” Moon’s hand to handle the task of riding gain on the board, then set about wringing out the absolute best of guitar, bass, electric piano, B3, and, of course, the vocals. We would say a quintupulous threat. The mix is very modern, with elements one might hear on the latest hip-hop/EDM dance tracks; “Quiero Mas Dinero” is arguably the best example. Applying some fusion skills toward something a little left of center, while maintaining a mindset in the madness, saw the sunrise in dripping purple. Modern in method. And then, guitar… Pearly Gates made show in her exotic-most fashion, of course. There’s some additional six-string slingin’ laid down by Mike Flanigin and Alx Guitarzza – both, masters of blend. We worked it to grand effect. Tone is the thing. Accommodating new “platforms” is what this release is about. It’s no secret that tone is one countable constant with ZZ Top, and here it is again, applied in a different context. A noble working experiment. Of course! 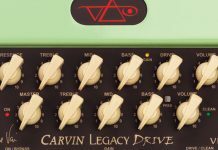 We all agree that bass is the place and low-end is ultra-important in all slices, particularly in Latin creations, as it’s got a whole lot to do with booty shakin’. That’s the orientation in danceability prompting us to deliver our session best to give the low-end the lowdown, with a strident shrift. Was “Got Love If You Want It” inspired by a run with a certain vintage Les Paul Standard and a Marshall Bluesbreaker? Perhaps! While en route to Excelsior Vintage Speedboat a decade ago, we pulled to the curb off Old Hiway 10 with an unscheduled stop and entered the infamous SolidBody Guitar in Minneapolis, where plexi heads choked every corner. Sitting idle on the combo line appeared an all-original Marshall 18-watt complete with a couple of Silverdale Road 12″ speakers. Hanging on the opposite wall was a near-mint ’59 ’Burst, which when plugged in paired up handily with the mini. I gotta say that mesmerizing match-up is one near-perfect combination. Slim Harpo was heard over the house system, which made for an immediate impromptu interpretation. “Got Love If You Want It” never felt so good. This version of “Baby Please Don’t Go” takes a straightforward approach, but is mixed to fit perfectly in context. That’s one of the mean, mean blues tracks we picked up from one of Lightnin’ Hopkins’ Houston-styled arrangements, which got our injection of a hard-left Southern turn toward the Straits of Florida. It’s got the grip of bongo and conga underlying the familiar standard, and we likes it. 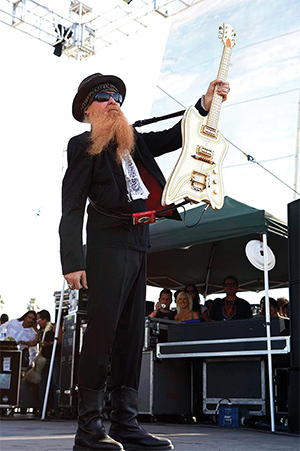 When he hits the stage in support of Perfectamundo, Billy Gibbons’ guitar arsenal will include four built for the occasion by Bolin Guitars/House of JB. 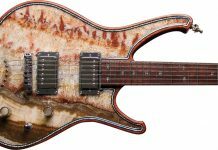 All have chambered swamp-ash bodies with maple tops, chambered necks, custom body contours, shaved heels, Jeff Babicz bridges, Cream-T pickups, 243/4″ scale, and neck profiles spec’d by Gibbons. 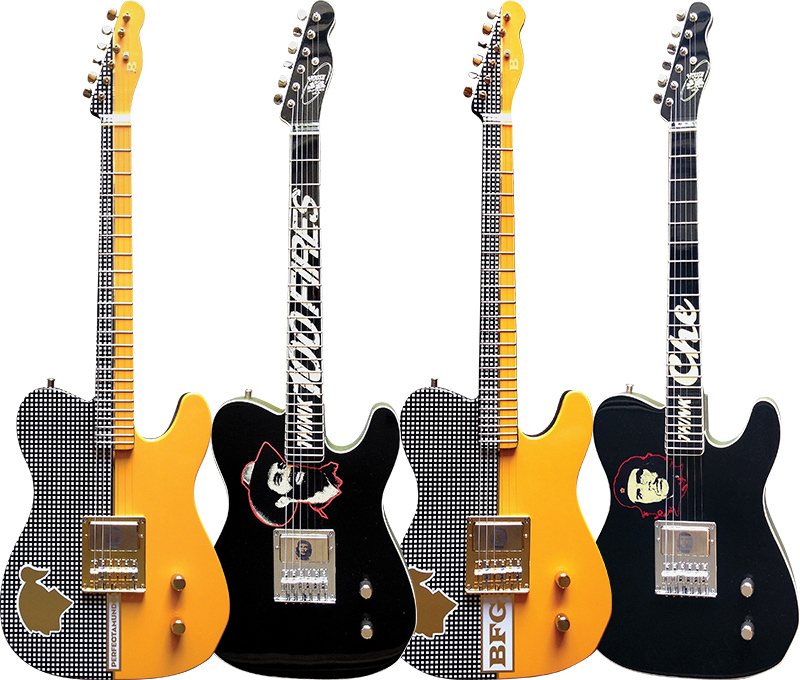 The two with graphics honoring Cuban Revolution heroes Camillo Cienfuegos Gorriarán and Ernesto “Che” Guevara have painted-maple fingerboards and grained-ivoroid binding on the body, neck, and headstock. Gibbons/Bolin Guitars:Jake Bolin. “Q Vo”: “Green Onions” for the 21st century? We’d certainly like to think so! It’s a loose Texas shuffle and the one and only live capture to complement the lineup. Loaded with real-life ambiance, it’s where Mr. Flanigin and Martine G take the B3 to places it wants to be. Gnarly Leslie grind. Definitely a party-time favorite. How did you chose the band? These cats and kittens heard about the concept and jumped right in. We’ve done some gigs as The BFGs previously and the whole ensemble is muy simpatico. The lineup includes Mike Flanigin, the star on Hammond B3 and does that B3 and bass-pedal thing in a way that’s second to none. “G.G.” Martine GuiGui, born in Puerto Rico, raised in Argentina, later into Los Angeles, throws down with the best of the piano pounders. Greg Morrow beats the skins like a soul possessed, he’s totally the gets-down cornerstone, and Alx “Guitarzza” Garza is our cholo San Antonio native whose background is predominantly metal, so this is something of a radical stylistic departure. However, the “Guitarzza” DNA took over once things got started. Our secret entity – and will remain so, lest we inflame “La Migra” – calls itself the “Cubano National Beat Generator.” That’s the X factor making this thing compelling and cohesive. We feel it. You recorded in several locales – Houston, Los Angeles, Austin, even Pontevedra and Valencia, Spain. Why? Just like the song says, “Get it while you can.” We found ourselves traveling through some tasty locales far and wide, and whenever there was the opportunity to make detour, we stopped in, stepped up, and lit the red light to keep the energy up and the tapes rolling. At the outset, Houston always makes for a good starting place. It’s a killer facility – Foam Box Recordings. Such a great room. And more often than not, we do our stuff in “Guitar Town” around L.A.’s Sunset Strip. When the writing took us overseas, the recording rooms opened automatically with that Spain-meets-Cuba feel. It works wherever we get to get to. Elaborate a bit on the Cuban/Latin percussion that drives so much of the album. When it came to percussion, we took first to maracas and a makeshift timbale station throughout each number while sharing the position at conga and bongos with Alx Guitarzza. It seemed good sense to lay a beat foundation to empower the basic tracks. Lots of bangin’ and jangin’ in there. Gotta have plenty of tampin’ on the boogie. 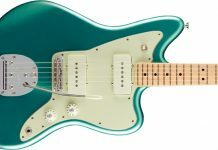 Are there any surprises, guitar-wise? A sling of the trusted Gibson six-string Spanish electrics from the vintage stash met with a rash of solidbody Fender “blackguards” graciously lent from Nacho Baños. A taste of Jimmie Vaughan, a little Johnny Depp, a lot of Jeff Beck. No shortage of hardwood or hardware at any time. Which amps do we hear most? 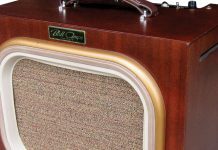 The lineup was simple and straightforward, with the usual suspects creating the noise – Marshall 100s, a righteous new Magnatone Super 59, a few tweed pieces from the ’50s. Steve Cropper is to be credited with bringing inspiration with his growling Fender Harvard heard on his splendid recordings on Stax and Volt. 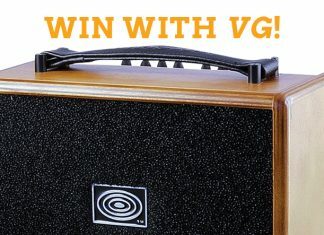 The all-tube Bigtone amps from Valencia, Spain, lent some true 50-watt grit, too. All are scattered throughout… Gotta keep ’em cranked. What was your approach to the project, vocally? Some very lucky days of singing high mark the album with some very good support going on with the varied voices on this project. Our buddy and hip-hop artist Alx Garza put down some chewy rap in light of the direction contemporary Cuban music has taken. I got to harmonize a bit with a number of the lines to thicken things out. That EDM-twisted approach is entirely appropriate in the overall context. Devout fans of ZZ Top are aware of your idiosyncrasies. Do you think the album will surprise even those folks a little bit? I hope so. The idea is do so something different, something perhaps unpredictable that’s not ZZ Top but that ZZ Top fans might like just the same. At the root of the music is the blues; call it Afro-Cuban, Latin, rock, or whatever, but it all comes from the same place – West Africa. That’s where percussion became a mode of creative expression centuries ago and changed how we think – and more importantly, how we feel about music. We’re just following that drum. Maybe that’ll be surprising for some, but for others it will be the logical extension of the journey we’ve long been on. Gibbons/Nieman Marcus Gibson SG courtesy of Gibson. 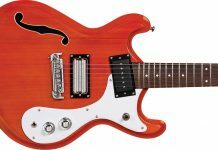 The words “guitar” and “Neiman Marcus” are seldom mentioned in the same breath – rightfully so, most guitarists would argue. But they’re being combined this holiday season to benefit a philanthropic extension of the Dallas-based specialty retailer that aids organizations that focus on art education and experiences for young people. The Heart of Neiman Marcus Foundation collaborated with three noted performers – Billy Gibbons, Steve Miller, and Lyle Lovett – each of whom teamed with a builder to produce a highly customized model for this year’s edition of The Christmas Book. 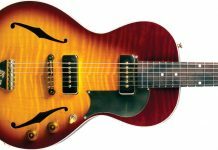 The concept, dubbed the Texas Guitar Trio, originated last January in a meeting between a marketing manager for Nieman Marcus and Dave Hinson, proprietor of Killer Vintage Guitars. 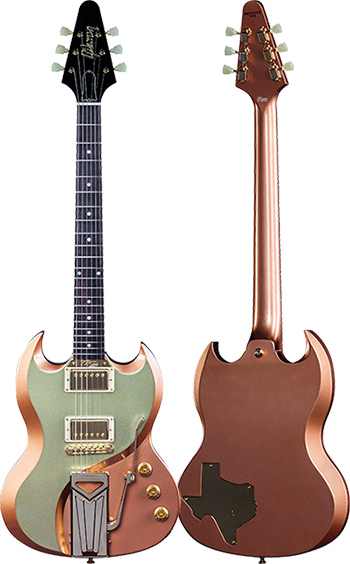 The Gibson Custom Shop gave the new guitar traditional elements like a mahogany neck and rosewood fingerboard, then on Gibbons’ cue, fancied it up with a hollowed mahogany body, headstock borrowed from the Flying V, Seymour Duncan Pearly Gates pickups, gold hardware, and – most notably – a distinct carve that angles across the treble bouts just above its side-pull vibrato, giving it lines reminiscent of a classic car. Other appointments include a Texas-shaped control plate on the back and Gibbons’ signature engraved on a plate at the end of the fretboard. The color scheme was Hinson’s idea. The guitar’s case is hand-painted by James Willis, and everyone who buys one will be presented the guitar onstage by Gibbons, who will play it live before handing it over. The other instruments are a Bolin Guitars acoustic/electric dressed up by Miller, and a Collings acoustic with appointments suggested by Lovett. Ten of each guitar will be built, and for each sold, The Heart of Neiman Marcus Foundation will receive $5,000. This article originally appeared in VG January 2016 issue. All copyrights are by the author and Vintage Guitar magazine. Unauthorized replication or use is strictly prohibited.